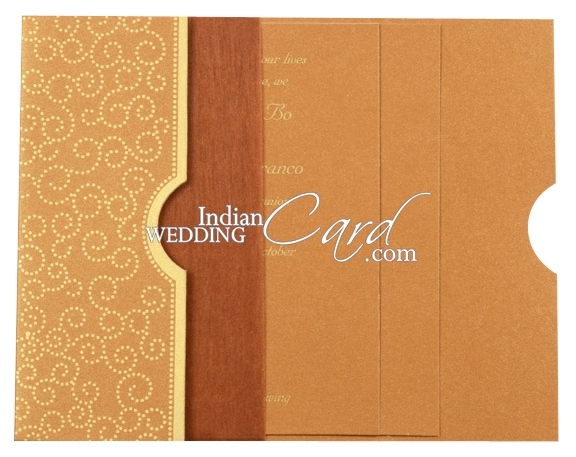 Paper: Copper color shimmery paper for card & 2 inserts (each 250gsm) and envelope (120gsm) with matching translucent Wooly paper for pocket. "Please confirm once you get the parcel." I got it today. The cards look great! I can t wait to show them to my family. Its shahida and mustafa here. Thanks for everything. The cards look great and we received them this morning. We will continue to reccomend you to everyone and we hope to keep in touch with you in the future. 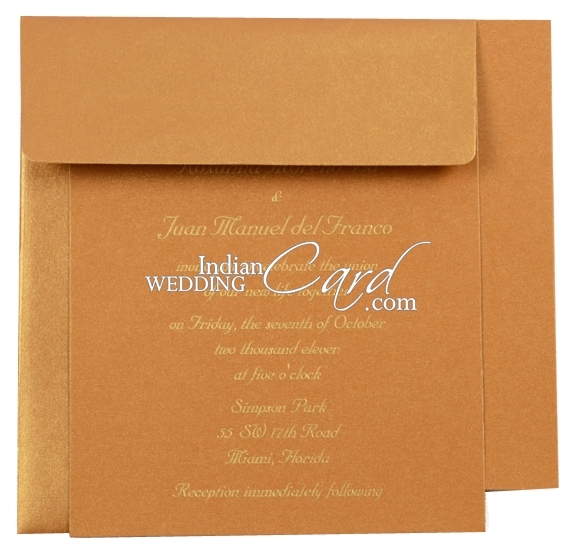 Received the RSVP cards today. Thank you all so much. 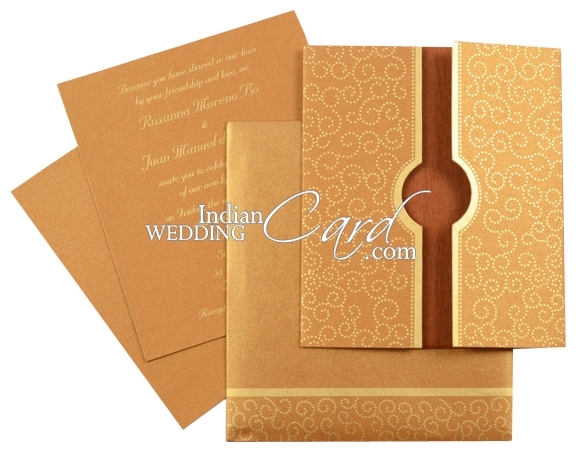 I am very impressed with the quality of the cards and the wonderful designs available on your web site. Will certainly recommend you all to friends here.